The utility’s Vegetation Management Team is at the ready monitoring vulnerable areas in the canyons, hillsides. With Southern California in the midst of three back-to-back winter storms, the continuous onslaught of rain on soil that was once parched from drought conditions could bring down trees and result in mudslides and possible flooding. 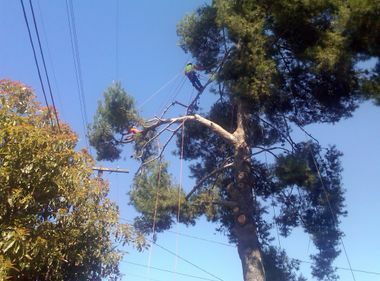 It’s this combination of wet debris — much of it broken tree limbs and vegetation — and the possible contact with downed power lines that has Jon Pancoast, Southern California Edison manager of Vegetation Management and Forestry, and his team on high alert during these latest round of storms. 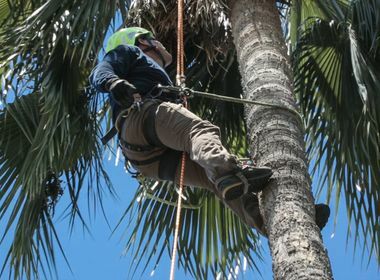 SCE has 263 Vegetation Management crew members available year-round and they are at the ready during weather-related events. Crews have already been deployed to areas that may be difficult to get to if roads are closed during these storms, including Shaver Lake, Big Creek and Arrowhead. Don’t try to remove the debris yourself. We will send out someone. Let the experts handle that. We would rather be safe and take a look. And like firefighters who patrol fire-prone areas during a hot summer day, Vegetation Management crews are currently patrolling areas that may be more susceptible to fallen debris during heavy rains and snow, such as in the canyons and hilly areas. 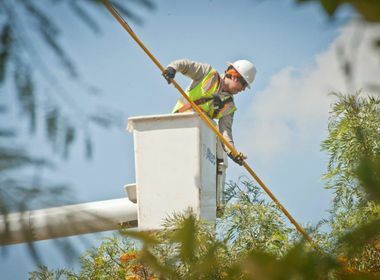 He reminds customers to never try to remove debris near a power line themselves, including fallen palm fronds, and to call SCE at 1-800-611-1911. Treat any downed power line as energized — never approaching or touching it or anything in contact with it — and call 911 immediately. The soil around a tree is disturbed, such as separation of the soil. You can see the tree roots. The National Weather Service is forecasting several inches of rain and snow with accompanying winds throughout Southern California till Monday.